This post won't contain any photos of my dress, as this is Silas's blog too, and I'm too worried he might accidentally see the dress this way. I did want to talk about my dress shopping experience though. When I went dress shopping for the first time, I brought along one person - my little sister, Chrissy. 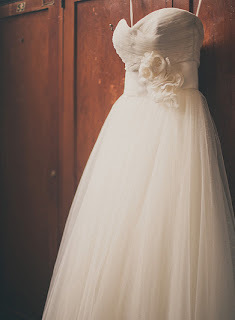 I wanted to try on dress shapes, because I knew what I was looking for, but since I had never worn a big white dress, I wanted to be sure that it would look good for when I asked my Mom and Si's mom to accompany me. One thing was pretty clear from all of my photos. 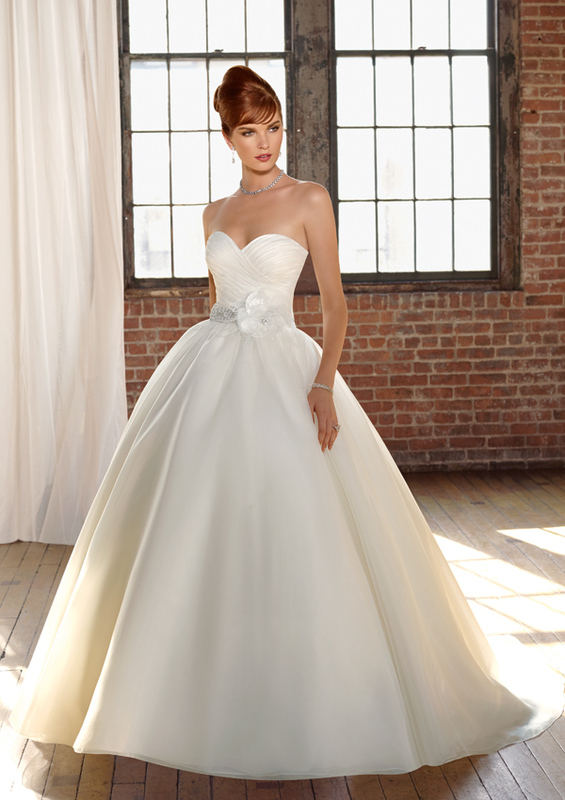 I was looking for a sweetheart neckline, and a full bottom, with a natural waist. Since I'm "bottom heavy", this seemed like it would be a great dress to help me cover flaws. 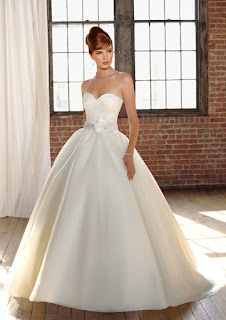 After trying on a few dresses in different silhouettes, the initial idea for my dress remained the same, so... yippy! The consultant brought out one more dress, to try on, and since on the hanger it was my "ideal" shape I tried it on even though I was sure it wouldn't work for me. And then... it did. It worked in amazing ways. Pulling me in at the waist, and giving me full body on the bottom. Being classic enough to carry through time, but also highlight my personality. Of course, they set right to work and tossed a veil on top of that... and that was it for me. I felt like a "bride", whatever that crazy statement means. The story doesn't end there though. Remember that I was only with one person? That I had planned to bring my mom and Si's mom along on this journey? Now I felt as though I had betrayed them, by finding what I was sure was my dress, without them. Fighting against my own wants, I left the store without my dress. More to come when my dress arrives! How was your dress shopping experience? Did you find it when you weren't looking?